My mostest favoritest cookies in the world are molasses cookies. Which may sound disgusting, especially if you’ve ever tried molasses. Unless, of course, you were my Grandpa who loved molasses and like to eat it on everything. I adored my Grandpa, but I have to admit to questioning his taste buds when it came to putting molasses in or on anything other than cookies! Both Granny and Ome make molasses cookies. They each have their own recipe and honestly, if I had to pick one I’d probably pick Ome’s because they’re softer (even when you’re not paying attention and over bake them slightly. Or a lot.). But in an effort not to pick sides–a Miss Switzerland of Grandmother Cookie Recipes, if you will–I took both recipes and meshed them together (honestly they weren’t all that different) and did a bit of tweaking. The result? 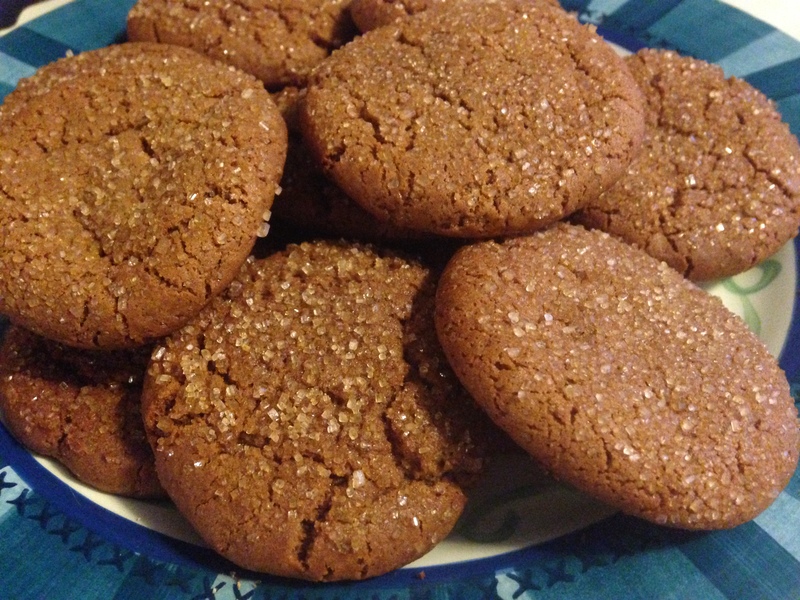 Truly my favorite molasses cookie recipe. Thanks Ome and Granny! !